giaoducvietnam: Tư liệu: "Sáu điều ngộ nhận về trường đại học tư vì lợi nhuận (ở Mỹ)"
Tư liệu: "Sáu điều ngộ nhận về trường đại học tư vì lợi nhuận (ở Mỹ)"
For-profit colleges are either an acceptable alternative to nonprofit schools or a symptom of a failing higher-education system, depending on whom you ask. While critics and numerous studies argue that for-profit schools offer higher loan-default rates, lower quality of education and fewer job prospects than nonprofit schools, many from the for-profit sector believe these schools are quicker to respond to job market demands, offer more flexible class scheduling and cater to a student demographic that may have few options. Here are six of the biggest misconceptions about for-profit institutions. 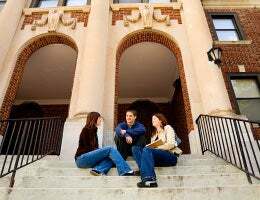 Organized from the extensive number of studies on the subject, this list isn't intended to sway you, but rather provide a summation of data from which you can make the best higher-education decision. "One of the biggest myths right now surrounding for-profits is that they're all created equal, and they aren't," says Michelle Asha Cooper, Ph.D., president of the Institute for Higher Education Policy, a higher education policy and research nonprofit based in Washington, D.C. "Certainly there are institutions that are serving their students well, and there are institutions that are not serving their students well. That's a similar model that you'll find in the nonprofit sector." Many for-profit colleges have high tuition costs and low graduation rates, but some, particularly two-year schools, outperform their nonprofit counterparts. Research compiled by The Orange County Register in Orange County, Calif., shows that private and public four-year nonprofit schools in California maintained six-year graduation rates of 72.9 percent and 65.1 percent respectively, while their for-profit competitors graduated less than one-third of attendees. The reverse was true among two-year schools. Two-year for-profit students were between two and three times more likely to graduate in three years than students at nonprofit institutions. A national compilation of studies by the Government Accountability Office supports these premises. "(For-profit schools) tend to be academic learning centers," says Steve Gunderson, president and CEO of the Association of Private Sector Colleges and Universities, a trade organization of for-profit colleges based in Washington, D.C. "They're often in strip malls that are along major thoroughfares in the city. In other words, they're focused almost exclusively on the academics of postsecondary education, not the social, cultural parts that many of us enjoy." Whereas many four-year nonprofit schools offer amenities such as gyms, extensive libraries, research facilities, sports fields, performing arts spaces, student centers, study abroad courses, service learning opportunities and on-campus clubs, most for-profits are devoid of these. Academic programming is probably different as well, Gunderson says. For-profit institutions are often quicker to respond to labor market demands than nonprofit schools and usually focus on career-based programs of study, rather than liberal arts degrees. It is worth nothing that many of the same degree and certificate programs are available at for-profit and nonprofit institutions. Relatively few recent high school grads attending school full time flock to the halls of for-profit schools. These schools typically cater to nontraditional students, including older students with full-time jobs, parents, military veterans, at-risk students and those who need flexible class scheduling. "The ability to do things part time, online, or in evening hours or weekend hours, those are the services that, to be honest, a lot of more traditional schools don't do as well," says Michael Reilly, executive director of the American Association of Collegiate Registrars and Admissions Officers, a nonprofit professional organization based in Washington, D.C. In addition to researching how course material is delivered, Reilly also encourages all students to check out what support services the school offers, such as academic advising, student counseling services and strong financial aid counseling. "Those sorts of things are really pretty essential to help, particularly at-risk students, be successful in college," he says. For-profit schools generally cost more than their four-year counterparts. A recent report produced by the U.S. Senate Committee on Health, Education, Labor, & Pensions, backed by Sen. Tom Harkin, shows that a degree at for-profit two-year schools is approximately four times more expensive than the same degree at a nonprofit community college. The typical for-profit bachelor's degree program costs 19 percent more than a comparable degree at a nonprofit four-year public school. "Of course (our prices are higher) because we have no public subsidy," Gunderson says. "We not only do not get public subsidies for our basic operations -- our schools, by virtue of being organized as a for-profit entity, pay taxes." Higher prices can be a significant challenge for students after graduation. They're one of several reasons for-profit students are more likely to default on their student loans. The Department of Education reports that four-year for-profit students are more than twice as likely to default on their loans as public school students and more than three times as likely as four-year private school students. The 30 major for-profit education companies analyzed in the Committee on Health, Education, Labor, & Pensions report spent an average of 17.2 percent of revenue on instructional costs in 2009. 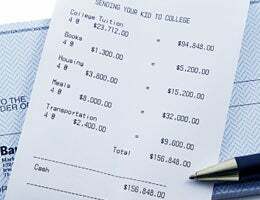 In comparison, four-year public schools spent 29.5 percent, and private colleges and universities spent 32.7 percent, according to 2010 data from the National Center for Education Statistics . For-profits did, however, spend money getting students' attention. For-profit schools spent 22.7 percent of their funds on "marketing, advertising, recruiting and admissions staffing," according to the committee report. The biggest spender, Alta College Inc., which owns Westwood College and Redstone College, spent $9,306 on marketing, recruiting and admissions for each student enrolled. Whether you're eyeing a for-profit or nonprofit school, make sure the institution is more than just slick advertising brochures and eager recruiters. "Get information and references on job-placement statistics, maybe even talk to employers in the area, and find out whether they hire people from the school and what are the average salaries in the profession," says Deanne Loonin, an attorney and director of the National Consumer Law Center's Student Loan Borrower Assistance Project in Boston. For-profits aren't the only institutions with low graduation rates. Public schools such as Kent State University at East Liverpool in Ohio, Texas Southern University in Houston and Rogers State University in Claremore, Okla., all have six-year graduation rates of 12 percent or less among full-time students, according to the National Center for Education Statistics. 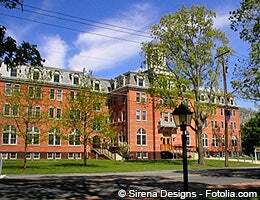 Private schools have their share as well with schools such as Martin University in Indianapolis and Allen University in Columbia, S.C., boasting graduation rates of 8 percent and 9 percent, respectively. "I think that the for-profit versus nonprofit is not necessarily the key thing the students should focus on," says Loonin. "What they should focus on regardless of the type of school they're going to is doing their research and looking into outcomes and, as best they can, figuring out what the completion rates are, what sorts of jobs people get, salaries and default rates, and understand that there have been a lot more problems in the for-profit sector, so if they're looking at a for-profit school, they should have a heightened awareness, but they should do that research regardless."